Henry James, OM (April 15, 1843 – February 28, 1916), was one of the greatest prose writers in American literature. Enormously prolific, James authored 22 novels, hundreds of short stories, and dozens of volumes of non-fiction including biographies, travel writing, art and literary criticism, and memoirs. James' evolving literary style and artistic intentions mirrored the transition from the Victorian to the Modern era in English literature. His early fiction followed the realistic conventions of the French and Russian novelists he admired, while his later work became notoriously complex. James was one of the first major novelists to utilize modernist, stream-of-consciousness techniques, and he perfected an aesthetic approach that eschewed a conventional omniscient narrative voice, arguing that the novelist's craft required a revelatory process of "showing" rather than a didactic act of "telling." James spent most of his late life in Europe, and his fiction often addressed the intersections of European and American culture, making it difficult for many critics to locate James’ works in the American and British literary traditions. James' fiction is exceptional for its keen psychological insight, as well as its realistic portrayal of European and American society. James’ fascination with consciousness and the workings of the mind owed much to his remarkable family. In addition to his sister, Alice, who was an accomplished diarist and prose stylist in her own right, his older brother, William James, was a famous American philosopher and psychologist. Their father, the philosopher and theologian Henry James Sr., was a close friend of Ralph Waldo Emerson and, with Bronson Alcott and Henry David Thoreau, was a noted New England Transcendantalist. The James family was one of the most productive intellectual families in the history of the United States, and Henry James was its most gifted literary stylist and innovator. Henry James was born in New York City into a wealthy, intellectually inclined family. 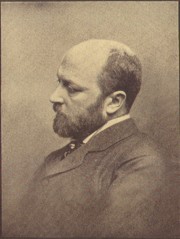 His father, Henry James Sr., was interested in various religious and literary pursuits. 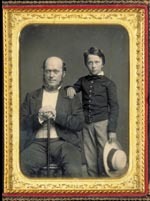 In his youth James traveled with his family back and forth between Europe and the United States. He studied with tutors in Geneva, London, Paris and Bonn. At the age of 19 he briefly and unsuccessfully attended Harvard University Law School, but he much preferred reading and writing fiction to studying law. From an early age, James read, criticized and learned from the classics of English, American, French, Italian, German, and (in translation) Russian literature. In 1864 he anonymously published his first short story, A Tragedy of Error, and from then on devoted himself completely to literature. Throughout his career he contributed extensively to magazines such as The Nation, The Atlantic Monthly, Harper's and Scribner's. From 1875 to his death he maintained a strenuous schedule of book publication in a variety of genres: novels, short story collections, literary criticism, travel writing, biography and autobiography. James never married, and it is an unresolved (and perhaps unresolvable) question as to whether he ever experienced a relationship. Many of his letters are filled with expressions of affection, but it is never been shown conclusively that any of these expressions were acted out. James enjoyed socializing with his many friends and acquaintances, but he seems to have maintained a certain distance from other people. After a brief attempt to live in Paris, James moved permanently to England in 1876. He settled first in a London apartment and then, from 1897 on, in Lamb House, a historic residence in Rye, East Sussex. He revisited America on several occasions, most notably in 1904-1905. The outbreak of World War I was a profound shock for James, and in 1915 he became a British citizen to declare his loyalty to his adopted country and to protest America's refusal to enter the war on behalf of Britain. James suffered a stroke in London on December 2, 1915, and died three months later. James is one of the major figures of trans-Atlantic literature, which is to say that his works frequently juxtapose characters from different worlds—the Old World (Europe), simultaneously artistic, corrupting, and alluring; and the New World (United States), where people are often brash, open, and assertive—and explore how this clash of personalities and cultures affects the two worlds. When he walked out of the refuge of his study and into the world and looked around him, he saw a place of torment, where creatures of prey perpetually thrust their claws into the quivering flesh of doomed, defenseless children of light…. His novels are a repeated exposure of this wickedness, a reiterated and passionate plea for the fullest freedom of development, unimperilled by reckless and barbarous stupidity. His earlier work is considered realist because of the carefully described details of his characters' physical surroundings. But, throughout his long career, James maintained a strong interest in a variety of artistic effects and movements. His work gradually became more metaphorical and symbolic as he entered more deeply into the minds of his characters. In its intense focus on the consciousness of his major characters, James’s later work foreshadows extensive developments in twentieth century fiction. In the late twentieth century, many of James’s novels were filmed by the team of Ismail Merchant & James Ivory, and this period saw a small resurgence of interest in his works. Among the best known of these are the short works Daisy Miller, Washington Square and The Turn of the Screw, and the novels The Portrait of a Lady, The Wings of the Dove, The Golden Bowl, The Ambassadors and The American. The prose of James’s later works is frequently marked by long, digressive sentences that defer the verb and include many qualifying adverbs, prepositional phrases, and subordinate clauses. James seemed to change from a fairly straightforward style in his earlier writing to a more elaborate manner in his later works. Biographers have noted that the change of style occurred at approximately the time that James began dictating his fiction to a secretary. Henry James was afflicted with a mild stutter. He overcame this by cultivating the habit of speaking very slowly and deliberately. Since he believed that good writing should resemble the conversation of an intelligent man, the process of dictating his works may perhaps account for a shift in style from direct to conversational sentences. The resulting prose style is at times baroque. His friend Edith Wharton, who admired him greatly, said that there were some passages in his works that were all but incomprehensible. His short fiction, such as The Aspern Papers and The Turn of the Screw, is often considered to be more readable than the longer novels, and early works tend to be more accessible than later ones. The Turn of the Screw is one of James’s later works. Generalizations about the "accessibility" of James’s fiction are difficult. Many of his later short stories—"Europe," "Paste" and "Mrs. Medwin," for instance—are briefer and more straightforward in style than some tales of his earlier years. For much of his life James was an expatriate living in Europe. Much of The Portrait of a Lady was written while he lived in Venice, a city whose beauty he found distracting; he was better pleased with the small town of Rye in England. This feeling of being an American in Europe came through as a recurring theme in his books, which contrasted American innocence (or lack of sophistication) with European sophistication (or decadence), as described in his major novels The Portrait of a Lady, The Ambassadors, and The Golden Bowl. He made only a modest living from his books, yet was often the houseguest of the wealthy. James had grown up in a well-to-do family, and he was able to fraternize with the upper-class, gaining from them many of the impressions he would eventually include in his fiction, just as Honore de Balzac had once done in Parisian salons. James said he got some of his best story ideas from dinner table gossip. He was a man whose sexuality was uncertain and whose tastes were, according to the prevailing standards of Victorian-era Anglo-American culture, rather feminine. William Faulkner once referred to James as "the nicest old lady I ever met." In a similar vein, Thomas Hardy called James and Robert Louis Stevenson "virtuous females" when he read their unfavorable comments about his novel Tess of the d'Urbervilles. Theodore Roosevelt also criticized James for his supposed lack of masculinity. Oddly, however, when James toured America in 1904-1905, he met Roosevelt at a White House dinner and dubbed Roosevelt "Theodore Rex" and called him "a dangerous and ominous jingo." The two men chatted amiably and at length. It is possible to see many of James’s stories as psychological thought-experiments. The Portrait of a Lady may be an experiment to see what happens when an idealistic young woman suddenly becomes very rich; alternatively, it has been suggested that the storyline was inspired by Charles Darwin's theory of sexual selection, where males compete (to the death) for the attention of females. The novella The Turn of the Screw describes the psychological history of an unmarried (and, some critics suggest, repressed and possibly unbalanced) young governess. The unnamed governess stumbles into a terrifying, ambiguous situation involving her perceptions of the ghosts of a lately deceased couple—her predecessor, Miss Jessel, and Miss Jessel's lover, Peter Quint. In all, James wrote 22 novels, including two left unfinished at his death, 112 tales of varying lengths, along with many plays and a large number of nonfiction essays and books. Among the writers most influential on James’s fiction were Nathaniel Hawthorne, with his emphasis on the ambiguities of human choice and the universality of guilt, Honoré de Balzac, with his careful attention to detail and realistic presentation of character, and Ivan Turgenev, with his preference for straight-forward plotting. Although any selection of James’s novels as "major" must inevitably depend to some extent on personal preference, the following books have achieved prominence among his works in the views of many critics. The first period of James’s fiction, usually considered to have culminated in The Portrait of a Lady, concentrated on the contrast between Europe and America. The style of these novels is generally straightforward and, though personally characteristic, well within the norms of nineteenth-century fiction. Roderick Hudson (1875) is a bildungsroman that traces the development of the title character, an extremely talented sculptor. Although the book shows some signs of immaturity—this was James’s first serious attempt at a full-length novel—it has attracted favorable comment due to the vivid realization of the three major characters: Roderick Hudson, superbly gifted but unstable and unreliable; Rowland Mallet, Roderick's limited but much more mature friend and patron; and Christina Light, one of James’s most enchanting and maddening femme fatales. The pair of Hudson and Mallet has been seen as representing the two sides of James’s own nature: the wildly imaginative artist and the brooding conscientious mentor. Although Roderick Hudson featured mostly American characters in a European setting, James made the Europe–America contrast even more explicit in his next novel. In fact, the contrast could be considered the leading theme of The American (1877). This book is a combination of social comedy and melodrama concerning the adventures and misadventures of Christopher Newman, an essentially good-hearted but rather gauche American businessman on his first tour of Europe. Newman is looking for a world different from the simple, harsh realities of nineteenth-century American business. He encounters both the beauty and the ugliness of Europe, and learns not to take either for granted. James did not set all of his novels in Europe or focus exclusively on the contrast between the New World and the Old. Set in New York City, Washington Square (1880) is a deceptively simple tragicomedy that recounts the conflict between a dull but sweet daughter and her brilliant, domineering father. The book is often compared to Jane Austen's work for the clarity and grace of its prose and its intense focus on family relationships. James was not particularly enthusiastic about Jane Austen, so he might not have regarded the comparison as flattering. In fact, James was not enthusiastic about Washington Square itself. He tried to read it over for inclusion in the New York Edition of his fiction (1907–1909) but found that he could not. So he excluded the novel from the edition. But other readers have enjoyed the book enough to make it one of the more popular works in the entire Jamesian canon. With The Portrait of a Lady (1881) James concluded the first phase of his career with a novel that remains to this day his best-selling long fiction. This impressive achievement is the story of a spirited young American woman, Isabel Archer, who "affronts her destiny" and finds it overwhelming. She inherits a large amount of money and subsequently becomes the victim of Machiavellian scheming by two American expatriates. Set mostly in Europe, notably England and Italy, and generally regarded as the masterpiece of his early phase, this novel is not just a reflection of James’s absorbing interest in the differences between the New World and the Old. The book also treats in a profound way the themes of personal freedom, responsibility, betrayal and sexuality. In the 1880s, James began to explore new areas of interest besides the Europe–America contrast and the "American girl." In particular, he began writing on explicitly political themes. The Bostonians (1886) is a bittersweet tragicomedy that centers on an odd triangle of characters: Basil Ransom, an unbending political conservative from Mississippi; Olive Chancellor, Ransom's cousin and a zealous Boston feminist; and Verena Tarrant, a pretty protégé of Olive's in the feminist movement. The story line concerns the contest between Ransom and Olive for Verena's allegiance and affection, though the novel also includes a wide panorama of political activists, newspaper people, and quirky eccentrics. The political theme turned darker in The Princess Casamassima (1886), the story of an intelligent but confused young London bookbinder, Hyacinth Robinson, who becomes involved in radical politics and a terrorist assassination plot. The book is unique in the Jamesian canon for it treatment of such a violent political subject. But it is often paired with The Bostonians, which is concerned with political issues in a less tragic manner. Just as James was beginning his ultimately disastrous attempt to conquer the stage, he wrote The Tragic Muse (1890). This novel offers a wide, cheerful panorama of English life and follows the fortunes of two would-be artists: Nick Dormer, who vacillates between a political career and his efforts to become a painter, and Miriam Rooth, an actress striving for artistic and commercial success. A huge cast of supporting characters helps and hinders their pursuits. The book reflects James’s consuming interest in the theater and is often considered to mark the close of the second or middle phase of his career in the novel. After the failure of his "dramatic experiment" James returned to his fiction with a deeper, more incisive approach. He began to probe his characters' consciousness in a more insightful manner, which had been foreshadowed in such passages as Chapter 42 of The Portrait of a Lady. His style also started to grow in complexity to reflect the greater depth of his analysis. The Spoils of Poynton (1897), considered the first example of this final phase, is a half-length novel that describes the struggle between Mrs. Gereth, a widow of impeccable taste and iron will, and her son Owen over a houseful of precious antique furniture. The story is largely told from the viewpoint of Fleda Vetch, a young woman in love with Owen but sympathetic to Mrs. Gereth's anguish over losing the antiques she patiently collected. The third period of James’s career reached its most significant achievement in three novels published just after the turn of the century. Critic F. O. Mathiessen called this "trilogy" James’s major phase, and these novels have certainly received intense critical study. Although it was the second-written of the books, The Wings of the Dove (1902) was the first published. This novel tells the story of Milly Theale, an American heiress stricken with a serious disease, and her impact on the people around her. Some of these people befriend Milly with honorable motives, while others are more self-interested. James stated in his autobiographical books that Milly was based on Minny Temple, his beloved cousin who died at an early age of tuberculosis. He said that he attempted in the novel to wrap her memory in the "beauty and dignity of art." The next published of the three novels, The Ambassadors (1903), is a dark comedy that follows the trip of protagonist Louis Lambert Strether to Europe in pursuit of his widowed fiancée's supposedly wayward son. Strether is to bring the young man back to the family business, but he encounters unexpected complications. The third-person narrative is told exclusively from Strether's point of view. In his preface to the New York Edition text of the novel, James placed this book at the top of his achievements, which has occasioned some critical disagreement. The Golden Bowl (1904) is a complex, intense study of marriage and adultery that completes the "major phase" and, essentially, James’s career in the novel. The book explores the tangle of interrelationships between a father and daughter and their respective spouses. The novel focuses deeply and almost exclusively on the consciousness of the central characters, with sometimes-obsessive detail and powerful insight. James was particularly interested in what he called the "beautiful and blest nouvelle," or the longer form of short narrative. Still, he produced a number of very short stories in which he achieved notable compression of sometimes-complex subjects. The following narratives are representative of James’s achievement in the shorter forms of fiction. Just as the contrast between Europe and America was a predominant theme in James’s early novels, many of his first tales also explored the clash between the Old World and the New. In "A Passionate Pilgrim" (1871), the earliest fiction that James included in the New York Edition, the difference between America and Europe erupts into open conflict, which leads to a sadly ironic ending. The story's technique still seems somewhat amateurish, with passages of local color description occasionally interrupting the flow of the narrative. But James manages to craft an interesting and believable example of what he would call the "Americano-European legend." James published many stories before what would prove to be his greatest success with the readers of his time, "Daisy Miller" (1878). This story portrays the confused courtship of the title character, a free-spirited American girl, by Winterbourne, a compatriot of hers with much more sophistication. Winterbourne’s pursuit of Daisy is hampered by her own flirtatiousness, which is frowned upon by the other expatriates they meet in Switzerland and Italy. Her lack of understanding of the social mores of the society she so desperately wishes to enter ultimately leads to tragedy. As James moved on from studies of the Europe-America clash and the American girl in his novels, his shorter works also explored new subjects in the 1880s. "The Aspern Papers" (1888) is one of James’s best-known and most acclaimed longer tales. The storyline is based on an anecdote that James heard about a Lord Byron devotee who tried to obtain some valuable letters written by the poet. Set in a brilliantly described Venice, the story demonstrates James’s ability to generate almost unbearable suspense while never neglecting the development of his characters. Another fine example of the middle phase of James’s career in short narrative is "The Pupil" (1891), the story of a precocious young boy growing up in a mendacious and dishonorable family. He befriends his tutor, who is the only adult in his life that he can trust. James presents their relationship with sympathy and insight, and the story reaches what some have considered the status of classical tragedy. The final phase of James’s short narratives shows the same characteristics as the final phase of his novels: a more involved style, a deeper psychological approach, and a sharper focus on his central characters. Probably his most popular short narrative among today's readers, "The Turn of the Screw" (1898) is a ghost story that has lent itself to operatic and film adaptation. With its possibly ambiguous content and powerful narrative technique, the story challenges the reader to determine if the protagonist, an unnamed governess, is correctly reporting events or is instead an unreliable neurotic with an overheated imagination. To further muddy the waters, her written account of the experience—a frame tale—is being read many years later at a Christmas house party by someone who claims to have known her. "The Beast in the Jungle" (1903) is almost universally considered one of James’s finest short narratives, and has often been compared with The Ambassadors in its meditation on experience or the lack of it. The story also treats other universal themes: loneliness, fate, love and death. The parable of John Marcher and his peculiar destiny speaks to anyone who has speculated on the worth and meaning of human life. Among his last efforts in short narrative, "The Jolly Corner" (1908) is usually held to be one of James’s best ghost stories. The tale describes the adventures of Spencer Brydon as he prowls the now-empty New York house where he grew up. Brydon encounters a "sensation more complex than had ever before found itself consistent with sanity." James was one of the great letter-writers of any era. More than ten thousand of his personal letters are extant, and over three thousand have been published in a large number of collections. James’s correspondents included celebrated contemporaries like Robert Louis Stevenson, Edith Wharton and Joseph Conrad, along with many others in his wide circle of friends. The letters range from the "mere twaddle of graciousness" to serious discussions of artistic, social and personal issues. Very late in life James began a series of autobiographical works: A Small Boy and Others, Notes of a Son and Brother, and the unfinished The Middle Years. These books portray the development of a classic observer who was passionately interested in artistic creation but was somewhat reticent about participating fully in the life around him. The standard biography of James is Leon Edel's massive five-volume work published from 1953 to 1972. Edel produced a number of updated and abridged versions of the biography before his death in 1997. Other writers such as Sheldon Novick, Lyndall Gordon, Fred Kaplan and Philip Horne have also published biographies that occasionally disagree sharply with Edel's interpretations and conclusions. Colm Tóibín used an extensive list of biographies of Henry James and his family for his 2004 novel, The Master, which is a third-person narrative with James as the central character, and deals with specific episodes from his life during the period between 1895 and 1899. 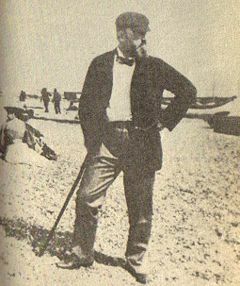 Author, Author, a novel by David Lodge published in the same year, was based on James's efforts to conquer the stage in the 1890s. In 2002 Emma Tennant published Felony: The Private History of The Aspern Papers, a novel that fictionalized the relationship between James and American novelist Constance Fenimore Woolson and the possible effects of that relationship on The Aspern Papers. Perhaps the most prominent examples of James' legacy in recent years have been the film versions of several of his novels and stories. The Merchant-Ivory movies were mentioned earlier, but a number of other filmmakers have based productions on James’ fiction. The Iain Softley-directed version of The Wings of the Dove (1997) was successful with both critics and audiences. Helena Bonham Carter received an Academy Award nomination as Best Actress for her memorable portrayal of Kate Croy. Jane Campion tried her hand with The Portrait of a Lady (1996) but with much less success. In earlier times Jack Clayton's The Innocents (1961) brought "The Turn of the Screw" to vivid life on film, and William Wyler's The Heiress (1949) did the same for Washington Square. James has also influenced his fellow novelists. In fact, there has been a recent spate of "James books," as mentioned above. Such disparate writers as Joyce Carol Oates with Accursed Inhabitants of the House of Bly (1994), Louis Auchincloss with The Ambassadress (1950), and Tom Stoppard with The Real Thing (1982) were explicitly influenced by James’ works. Although James was definitely out of his element when it came to music, but Benjamin Britten's operatic version of "The Turn of the Screw" (1954) has become one of the composer's most popular works. William Tuckett converted the story into a ballet in 1999. Even when the influence is not so obvious, James can cast a powerful spell. In 1954, when the shades of depression were thickening fast, Ernest Hemingway wrote an emotional letter where he tried to steady himself as he thought James would: "Pretty soon I will have to throw this away so I better try to be calm like Henry James. Did you ever read Henry James? He was a great writer who came to Venice and looked out the window and smoked his cigar and thought." The odd, perhaps subconscious or accidental allusion to "The Aspern Papers" is striking. And there are the real oddities, like the Rolls-Royce ad which used Strether's famous words: "Live all you can; it's a mistake not to." That's more than a little ironic, considering The Ambassadors sardonic treatment of the "great new force" of advertising. ↑ See the referenced bibliography by Edel, Laurence and Rambeau for a complete account of James’s large volume of writings. ↑ In an unpublished note, "The Turning Point of My Life," James ruefully notes how he wrote fiction instead of law at Harvard: "It so happened that I had in the deepest depths of the past spent a year at that admirable institution the Harvard Law School, and that, withdrawing from it prematurely—though under no precipitation that I may not now comfortably refer to—I brought away with me certain rolls of manuscript that were quite shamelessly not so many bundles of notes on the perusal of so many calfskin volumes. These were notes of quite another sort, small sickly seed enough, no doubt, but to be sown and to sprout up into such flowers as they might, in a much less trimmed and ordered garden than that of the law." The Complete Notebooks of Henry James, edited by Leon Edel and Lyall Powers (2005), 437-438. James also discusses his very unsuccessful time at Harvard Law School in Notes of a Son and Brother, especially chapters nine and ten. ↑ In a letter dated May 6, 1904, to his brother William, James refers to himself as "always your hopelessly celibate even though sexagenarian Henry." The Correspondence of William James: Volume 3, William and Henry, edited by Ignas Skrupskelis and Elizabeth Bradley, (1994), 271. How accurate that description might have been is the subject of contention among James’s biographers. See volume four of Edel's referenced biography, (306-316), for a particularly long and inconclusive discussion on the subject. See also The Henry James Scholar's Guide to Web Sites in the "External links" section for a lively debate among biographers Edel, Novick and Kaplan on the issue, along with links to other material on the controversy. ↑ See the referenced biographies for further details of James’s life. Edel's biography thoroughly documents the known facts of James’s day-to-day activities. Horne's epistolary biography focuses on James’s professional career. The biographies by Kaplan, Novick and Gordon explore issues about James’s personal life with sometimes controversial speculations. ↑ Theodora Bosanquet. Henry James At Work, edited by Lyall Powers. (original 1924) (Ann Arbor: University of Michigan Press,  2006. ISBN 083830009X), 275-276. ↑ See such comprehensive and chronological treatments of James’s works as Edward Wagenknecht's The Novels of Henry James (1983) for a discussion of the various changes in James’s narrative technique and style over the course of his career. ↑ Edith Wharton. The Writing of Fiction. (1925), 90-91. ↑ The referenced biographies, in particular volumes four (174-77) and five (91-95, 360-64) of Edel's work, discuss how James dictated his fiction later in his career and how this may have affected his style. The referenced editions of James’s later works, such as The Ambassadors and The Wings of the Dove, also discuss issues about his style. And see the complete monograph on James’s work habits, Henry James At Work by his secretary Theodora Bosanquet, which was quoted above. ↑ James’s prefaces to the New York Edition of his fiction often discuss such origins for his storylines. See, for instance, the preface to The Spoils of Poynton. ↑ See Edel's biography, especially volume four, and the biographies by Novick and Gordon for extensive discussions of this controversial and unresolved issue. ↑ Henry James: A Life in Letters, edited by Philip Horne, (1999), 249, and Henry James’s Legacy: The Afterlife of His Figure and Fiction by Adeline Tintner, (1998), 154. ↑ Leon Edel. 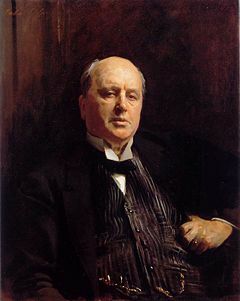 Henry James: The Master 1901-1916. (1972), 265-266. ↑ James himself noted his "outsider" status. In a letter from October 2, 1901, to W. Morton Fullerton, James talked of the "essential loneliness of my life" as "the deepest thing" about him (Henry James Letters edited by Leon Edel, (1984. Volume 4), 170. ISBN 0674387805). The referenced biographies and critical works discuss how this outsider status may have helped James to a more objective viewpoint, as noted in the famous quotation from Edmund Wilson, which compares James’s objectivity to that of Shakespeare's. ↑ For a wide variety of critical opinions on The Portrait of a Lady and The Turn of the Screw, see the "Criticism" sections of the referenced editions of these works. The referenced books of criticism also offer substantial discussions of these works. According to volume two of Edel's biography, James met Darwin in 1869 and read some of his work. ↑ James himself acknowledged his debt to these writers. For instance, see the New York Edition preface to The Portrait of a Lady for a discussion of Turgenev's influence, and the Lesson of Balzac for the French novelist's. James wrote extensive critical essays on all three of these writers; see the referenced editions of his literary criticism. Later critics such as Cornelia Sharp and Edward Wagenknecht have noted specific influences on James’s works, such as Balzac's Eugenie Grandet on Washington Square, Hawthorne's Marble Faun on Roderick Hudson, and Turgenev's Virgin Soil on The Princess Casamassima. See the referenced books of criticism for many more such examples. ↑ For extensive critical discussions of The American, The Portrait of a Lady, The Ambassadors and The Wings of the Dove, see the referenced editions of these novels. For discussion of all of James’s novels from a variety of critical viewpoints, see the referenced books of criticism. ↑ For further critical analysis of these narratives, see the referenced editions of James’s tales and The Turn of the Screw. The referenced books of criticism also discuss many of James’s short narratives. ↑ See the referenced editions of James’s criticism and the related articles in the "Literary criticism" part of the "Works" section for further discussion of his critical essays. ↑ Henry James: The Scenic Art, Notes on Acting and the Drama 1872-1901 edited by Allan Wade, (1948), 243-260. For a general discussion of James’s efforts as a playwright, see Edel's referenced edition of his plays. ↑ Further information about these works can be found in the related articles in the "Travel writings" and "Visual arts criticism" parts of the "Works" section and in the referenced editions of James’s travel writings. ↑ Henry James Letters, edited by Leon Edel, volume 4 (1983), 208. 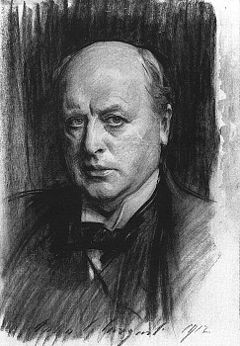 Further information on James's letters can be found at The Online Calendar of Henry James's Letters. ↑ See the referenced edition of James's autobiographical books by F.W. Dupee, which includes a critical introduction, an extensive index, and notes. ↑ The Pilgrimage of Henry James by Van Wyck Brooks (1925) develops this thesis at length. ↑ The Henry James Review Retrieved September 15, 2008. ↑ Many of these examples are drawn from Henry James’ Legacy: The Afterlife of His Figure and Fiction by Adeline Tintner, 1998. ISBN 0807121576. Specific references from the book: Joyce Carol Oates, (378-380); Louis Auchincloss, (350-353); Tom Stoppard, (251-253), Benjamin Britten, (247); Ernest Hemingway, (176-188); and Rolls-Royce, (2-4). Henry James: The Middle Years 1882-1895 by Leon Edel (1962). This page was last modified on 18 December 2017, at 16:45.